At River Islands, we’re committed to creating a sense of community among our residents. Whether you’re artsy or active, we encourage neighbors to band together to partake in their hobbies. 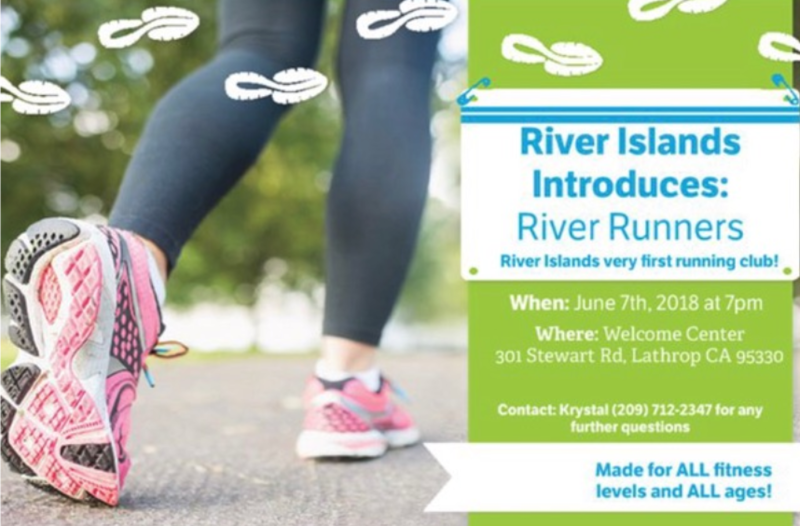 We’re excited to share that the River Islands community spirit is strong and the newest addition to our community clubs is in full swing! The River Runners is our community’s first running club for all ages and all levels of fitness. River Islands is an ideal setting for spending time outdoors with its miles of trails, and our trail system caters to all levels of intensity for the perfect experience every time you go out. River Runner members can also participate in our 5K running events to help support different charities throughout the year! Join your fellow neighbors for some camaraderie and healthy living. All you need is pair of running shoes! Contact Krystal at (209) 712- 2347 for further info.